As yet, there is no complete manual for MRISIM. However, most functions are self-explanatory. The best way to get acquainted with the program is to read the tutorial. 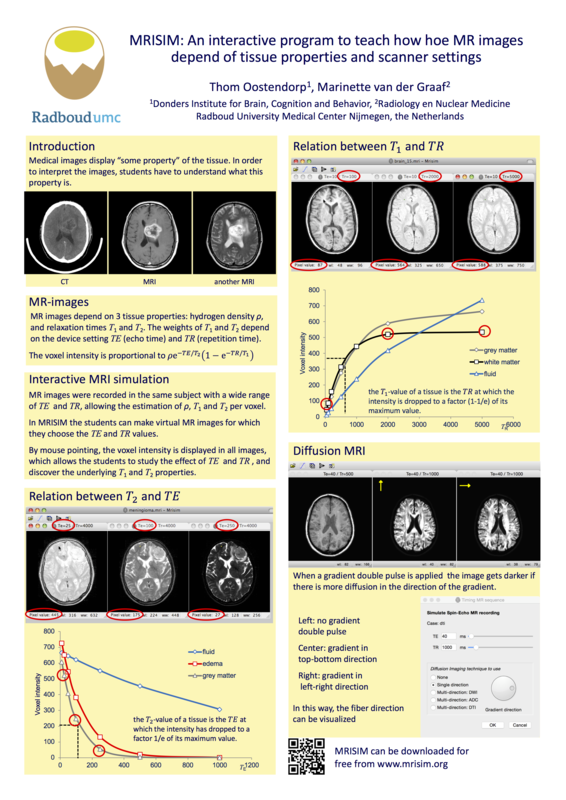 The poster below, that was presented at the conference of the Medical Association of Medical Science Teachers, gives a quick impression of how the program can be used in teaching.